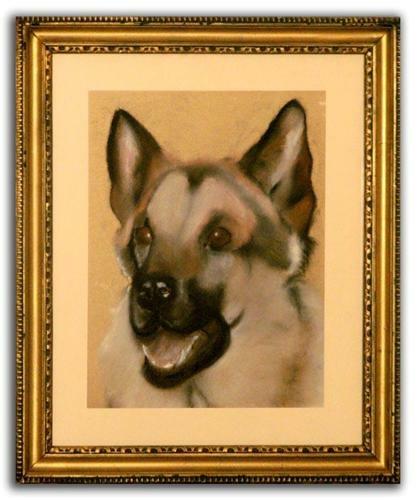 Cute little portrait of a German Shepherd rendered skillfully in pastel and dating from 1974. The artist C. G. Green was obviously a great fan of the breed. The artwork and frame are in great condition; just unwrap it, hang it and enjoy it - nothing else to do.